The Pinwheel Galaxy is an face-on spiral galaxy in the constellation Ursa Major and is approximately 21 million light years away. 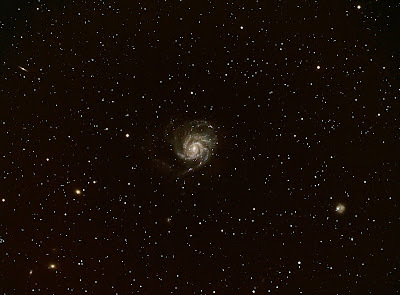 The Pinwheel has several different galaxies near it as seen in the image. To the lower right is NGC 5474 which is being torn apart by the Pinwheels massive gravitational pull. 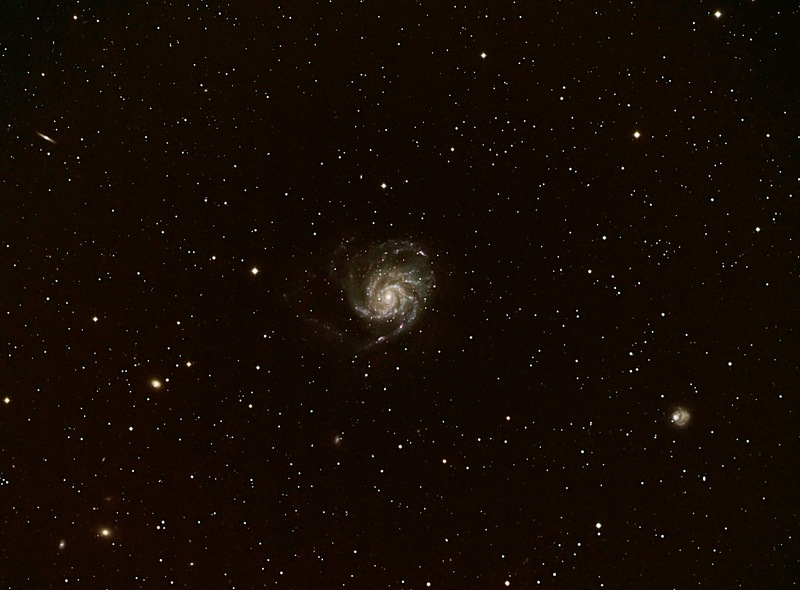 The interaction between the Pinwheel and other surrounding galaxies gives the Pinwheel a neat spiral design.